Fans of Segun Oduolowu’s (’00) appearances on television shows like “Access Hollywood Live,” “CNN Live,” “Dr. Drew On Call” and “The Wendy Williams Show” know that he isn’t afraid to make his voice heard, whether he’s addressing issues in sports, pop culture, politics or entertainment news. His engaging personality and openness to dialogue make him an exciting addition to discussions that touch on multiple aspects of everyday life. Another topic where he has a clear-cut point of view? “Now and forever … Go Coogs!” He even proudly wore Cougar red on “Access Hollywood Live” last month. 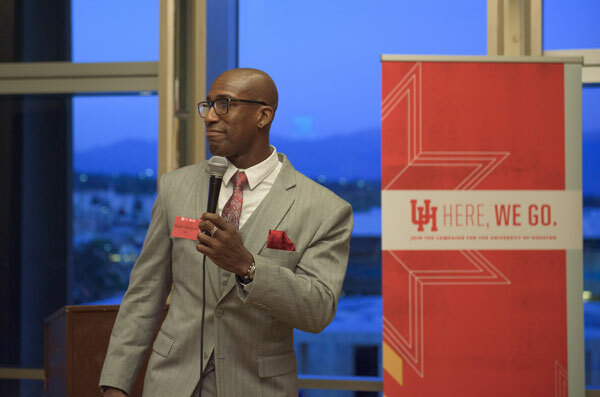 Visit Segun’s website to learn more about his TV work, and visit our events page to find out when the “Here, We Go” Roadshow will be in a city near you!